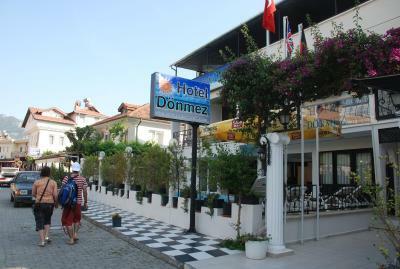 Lock in a great price for Hotel Donmez – rated 8.7 by recent guests! Hotel keeper was so nice. Trying to help for everything you need. Location was perfect. Have been here several times so obviously,I think it's good,else I,d book elsewhere. 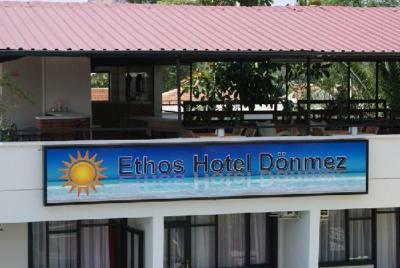 Value for money, had everything we needed at an excellent price, helpful staff. 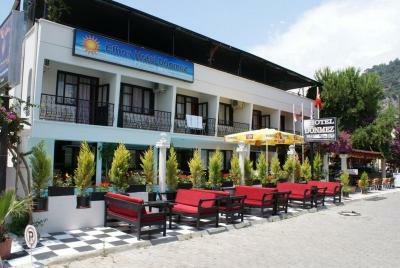 I am always traveling alone and as a bag packer i rarely live in hotel.In dalyan,it's almost the cheapest one i can find online.At first, i don't expect too much, but after i arrived i found everything is a surprise. 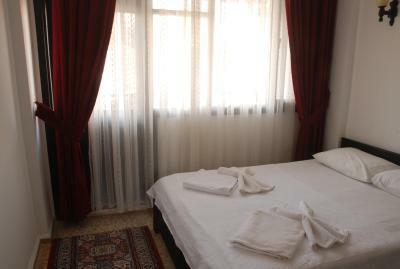 The room is clean and private, the staff are so friendly and we also become friends. 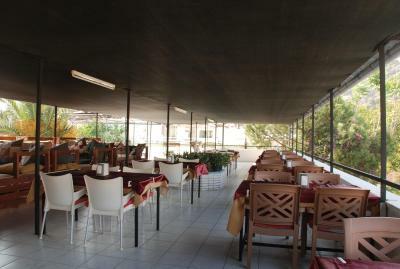 the breakfast is really delicious, and it's served on the rooftop! 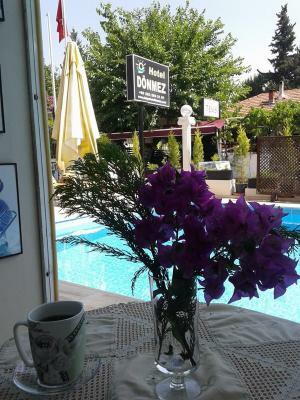 I feel so free and like home, sitting beside the swimming pool, drinking a cup of turkish coffee.Nothing better! 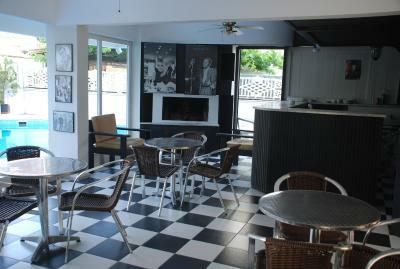 the location is also very good, nearby there is a fantastic cafe called "dalyano",and it's also close to the river. if possible,i will definitely come back! 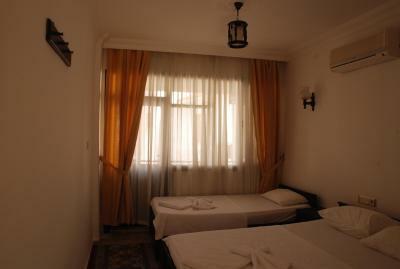 The bed was extremely comfortable and the room was more than adequate for 1 person. 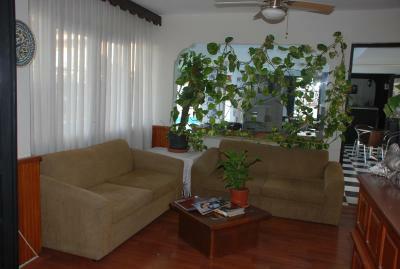 There was a/c, television and sufficient storage plus a balcony. 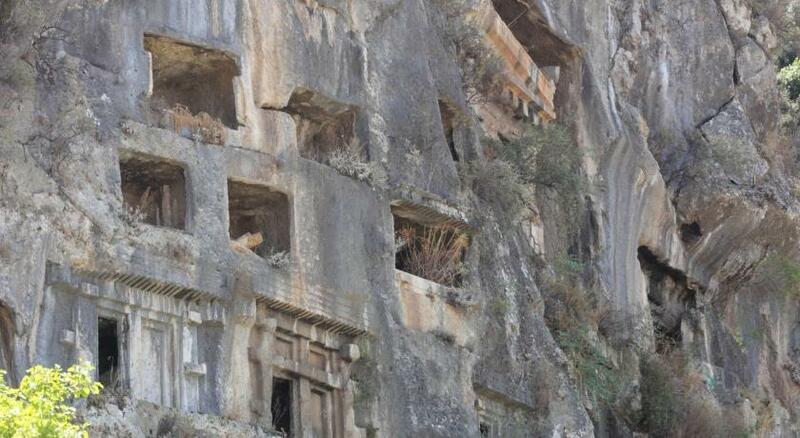 I preferred the first floor room at the rear. Excellent Turkish breakfast. Comfortable bed room room comfy,overall great for single or 2 adults. Excellent location for town centre. 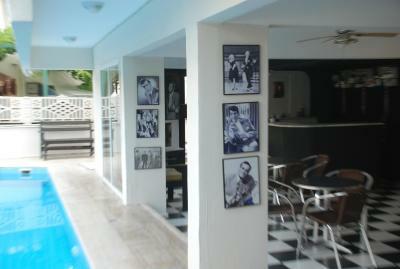 The pool was nice, the breakfast was great and the facilities generally speaking were quite all right. 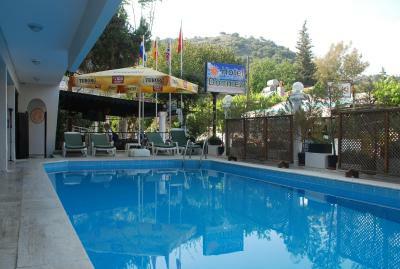 One of our best sellers in Dalyan! 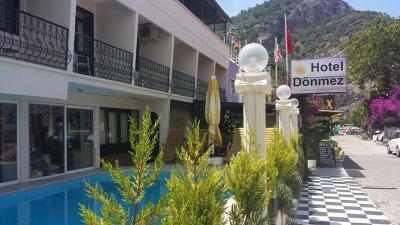 Located 250 feet from the banks of Dalyan River, this family-run hotel offers rooms with a private balcony. 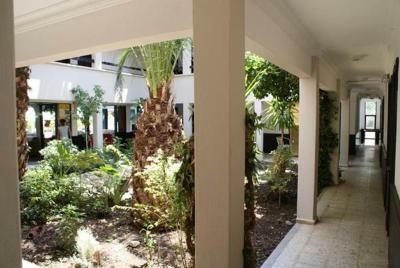 It features an outdoor pool and a shady courtyard with a Mediterranean garden. 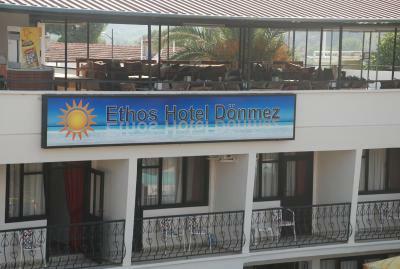 The rooms at Hotel Donmez provide views of the garden, Kaunos, or the outdoor pool. 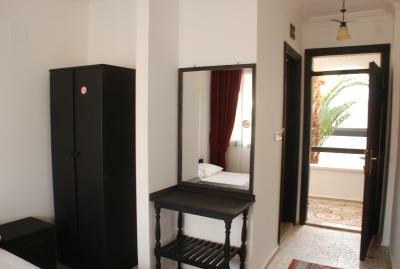 Each room is air conditioned and includes private bathrooms. Every morning, guests can enjoy a buffet breakfast at the rooftop terrace, which offers panoramic views of the Lycian Rock Tombs. 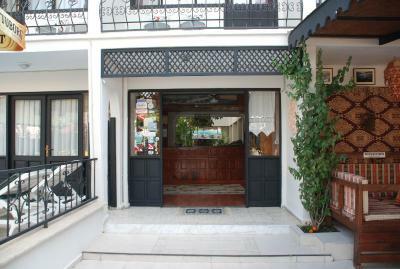 The hotel also offers 2 bars. Guests can learn how to dove at the on-site diving school. 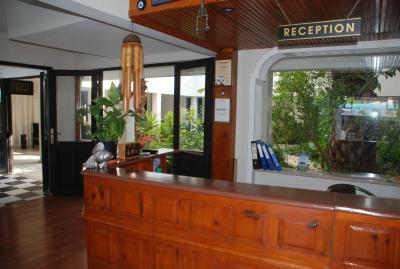 Wi-Fi access is free and complimentary parking is available. 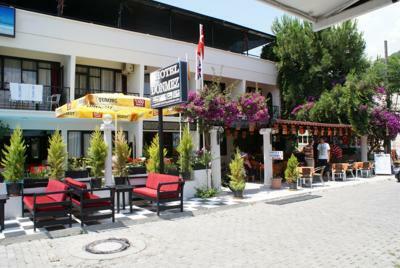 The hotel's staff is available 24/7 and speaks Dutch, English, German and Turkish. 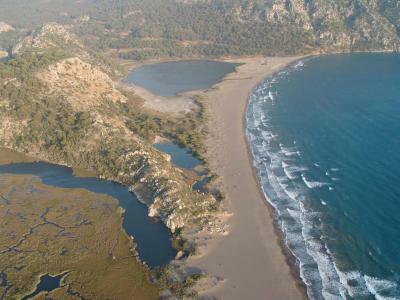 The natural oasis of Iztuzu Beach, breeding ground for loggerhead turtles, is 6.2 mi away. 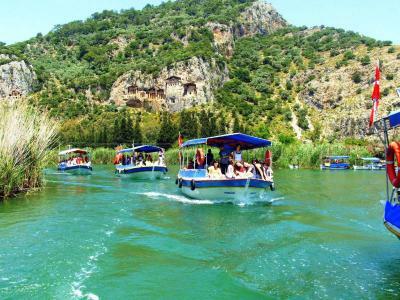 Several shuttles from central Dalyan run daily to the beaches. 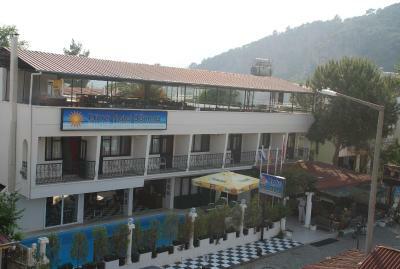 Dalaman Airport is 17 mi away. 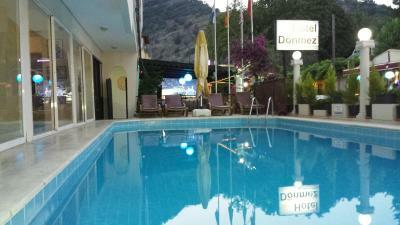 When would you like to stay at Hotel Donmez? This bright room includes air conditioning and a balcony. House Rules Hotel Donmez takes special requests – add in the next step! Hotel Donmez accepts these cards and reserves the right to temporarily hold an amount prior to arrival. 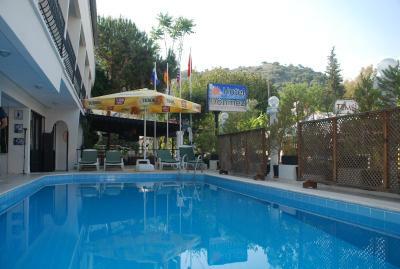 Excellent location, only two steps from the Dalyan canal and also from the main street. Very friendly staff. The room is basic and may require an upgrade but it satisfied all my needs. I have stayed in the off-season so couldn't enjoy the breakfast area at the roof with a view but overall I am very satisfied. 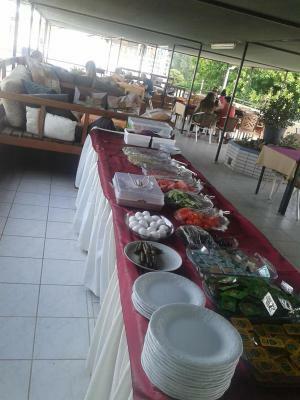 The staff prepared my breakfast every morning according to what I asked. The AC was not working in winter mode. It was freezing at the end of October. Not able to pay with credit card. Slow WiFi, bin in bathroom needs emptying more often. 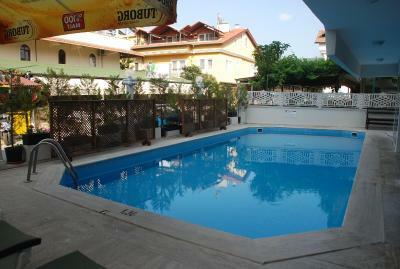 Cental location, excellent staff especially receptionist Zura who spoke fantastic English..lovely pool. 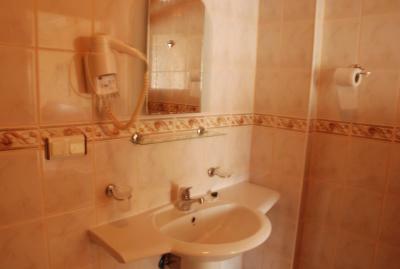 the equipments are little bit old and the shower water is not hot enough.